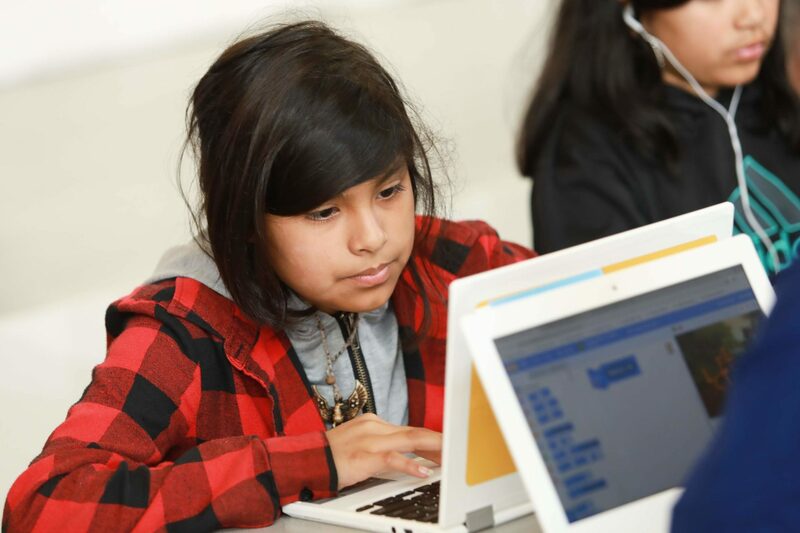 Washington, DC, March 19, 2019 – Google.org is awarding $5M to YWCA USA, the Hispanic Heritage Foundation and UnidosUS, as part of the company’s larger $25 million commitment in 2019 to increase Black and Latinx students’ access to computer science and artificial intelligence education across the United States. As part of YWCA USA’s ongoing mission to eliminate racism and empower women, YWCA USA will receive a grant totaling $2M over three years which will support YWCA’s STEM E3 (Education, Employment and Entrepreneurship) program which works with young women and girls in science, technology, engineering, and math (STEM). YWCA STEM E3 curriculum helps young women and girls of color build the confidence and skills required for future careers in computer science and artificial intelligence. Launching initially in YWCA Boulder County and YWCA Greater Los Angeles, YWCA USA will expand STEM E3 to 15 total locations across the United States. Working with Google’s CSFirst curriculum and our partners at the Hispanic Heritage Foundation, YWCA will extend our evidence-based YWCA STEM E3 curriculum to elementary and middle school-aged girls as well as extending our wraparound family support programs to participants in the program. YWCA is on a mission to eliminate racism, empower women, stand up for social justice, help families, and strengthen communities. We are one of the oldest and largest women’s organizations in the nation, serving over 2 million women, girls, and their families. YWCA has been at the forefront of the most pressing social movements for 160 years — from voting rights to civil rights, from affordable housing to pay equity, from violence prevention to health care reform. Today, we combine programming and advocacy to generate institutional change in three key areas: racial justice and civil rights, empowerment and economic advancement of women and girls, and health and safety of women and girls. Learn more at www.ywca.org.